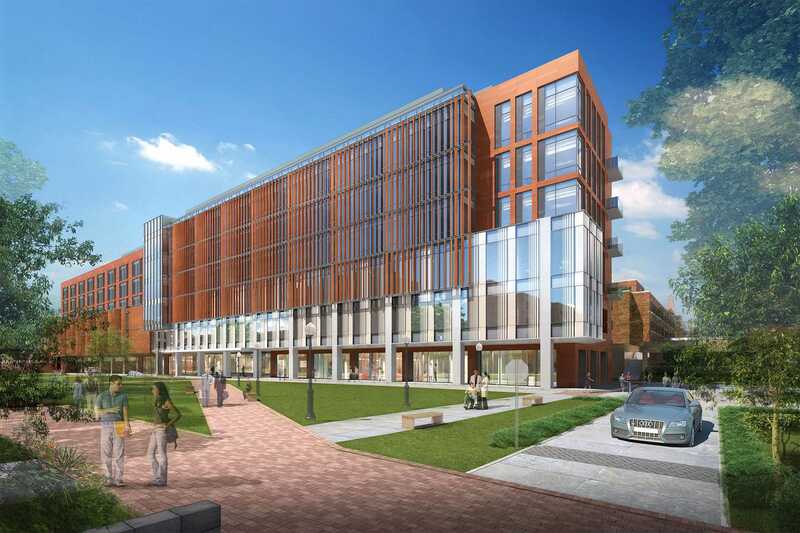 HKS designers were challenged to modernize MedStar Georgetown University Hospital to better serve a growing and aging population in Washington, D.C. 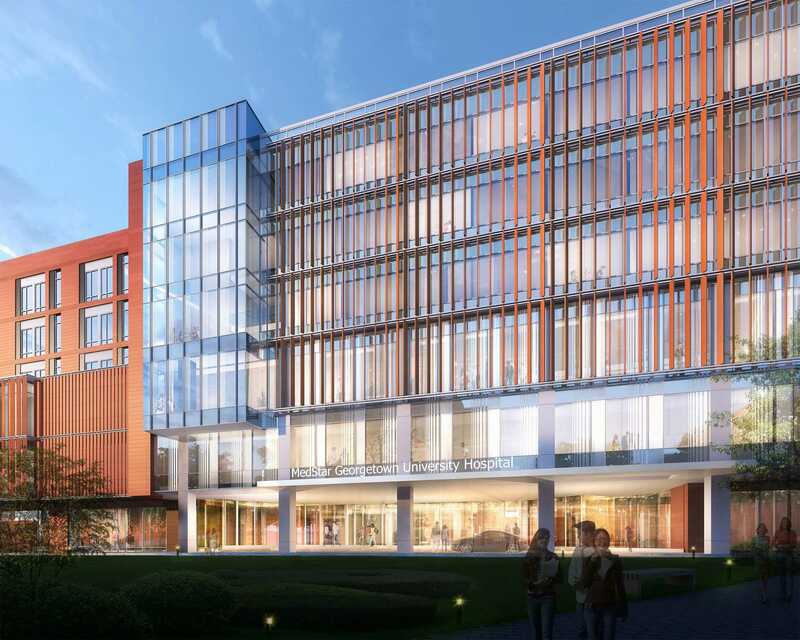 The new Surgical Pavilion building is a six-story tower connected the main MedStar Georgetown University Hospital at the ground, first and fourth floor levels. With 32 exam rooms, the hospital’s emergency department will be greatly expanded to serve more than 36,000 patients who use the hospital as their primary source of medical care and treatment. The new building allows for the reorganization of the main hospital to improve patient access, orientation and circulation. 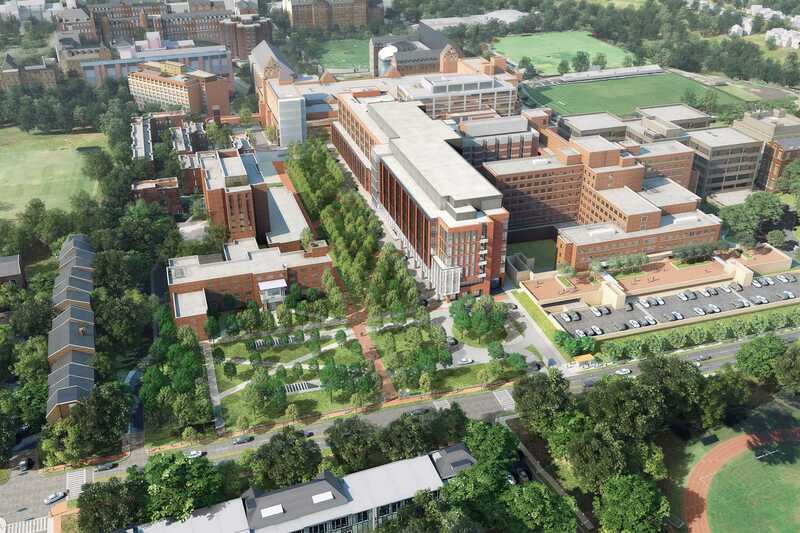 The MedStar Georgetown University Hospital (MGUH) Medical-Surgical Pavilion will transform the north entry to the historic campus. 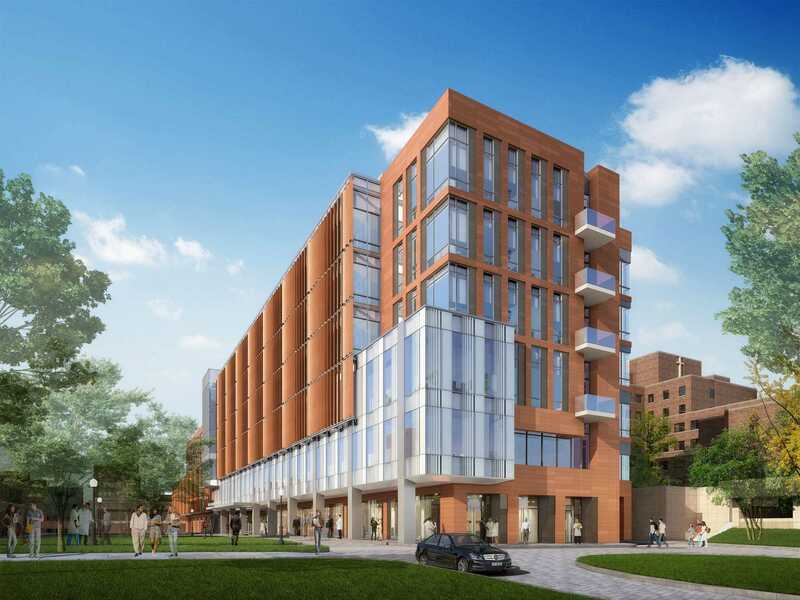 The project represents the culmination of years of strategic planning, operational planning, design strategies and an integrated team approach to the implementation of the largest health care project in the history of the District of Columbia. The new building, which is targeting LEED Silver certification, brings MGUH up to current standards for size of the operating rooms and the Emergency Department will double in size for enhanced patient service.